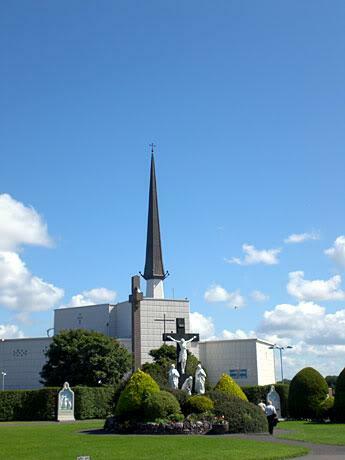 Knock Shrine is an international place of pilgrimage and prayer where over one and a half million pilgrims come every year. The Shrine grounds incorporates five churches, including the Apparition Church, Parish Church/Old Church, Basilica, Blessed Sacrament Chapel and Chapel of Reconciliation. Other facilities include a Religious Books’ Centre, Caravan and Camping Park, Knock House Hotel and Knock Museum. All of these are set in beautiful landscaped gardens of approximately 100 acres creating an atmosphere of peace and tranquillity.